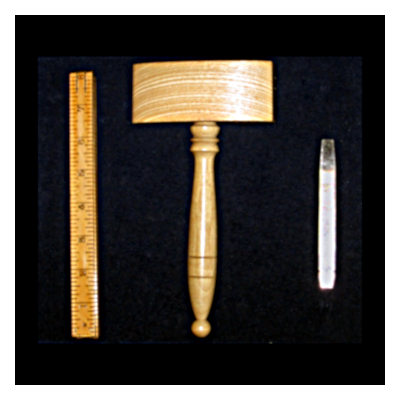 "The word Lewis denotes strength, and is here depicted by certain pieces of metal dovetailed into a stone, which forms a cramp, and enables the operative Mason to raise great weights to certain heights with little encumbrance, and to fix them in their proper bases. Lewis, likewise denotes the son of a Mason; his duty is to bear the heat and burden of the day, from which his parents, by reason of their age, ought to be exempt; to help them in time of need, and thereby render the close of their days happy and comfortable; his privilege for so doing is to be made a Mason before any other person however dignified." 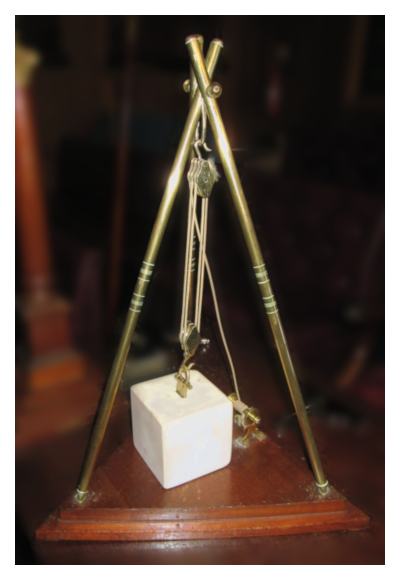 Although a Lewis is often displayed in Lodges attached to the Perfect Ashlar on the Senior Warden's pedestal (see image right), not everyone who observes it understands the principle of its operation - below is a diagram and explanation that will hopefully enlighten those curious enough to know. 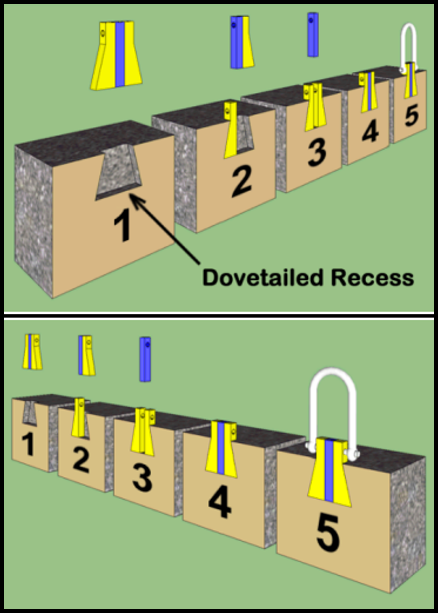 Here is a diagram that shows the working principle of a dovetailed Lewis. Here the operative Mason has prepared a dovetailed recess in the ashlar (shown in cross-section). He places one wedge in the recess and pushes it to the side. He then places the second wedge in the recess and pushes it to the opposite side. Next, he pushes the plug into the gap between the two wedges which keeps them securely in position. 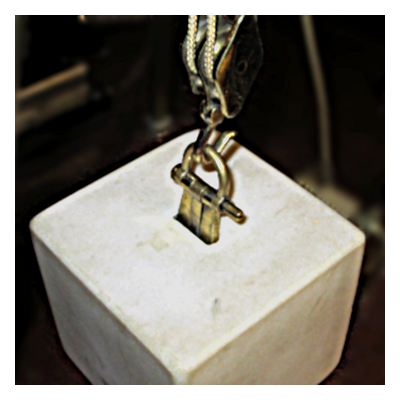 Finally, he attaches a shackle pin and shackle (shown in white) to the Lewis. The Lewis is now ready for the "operative Mason to raise great weights to certain heights with little encumbrance, and to fix them on their proper bases".